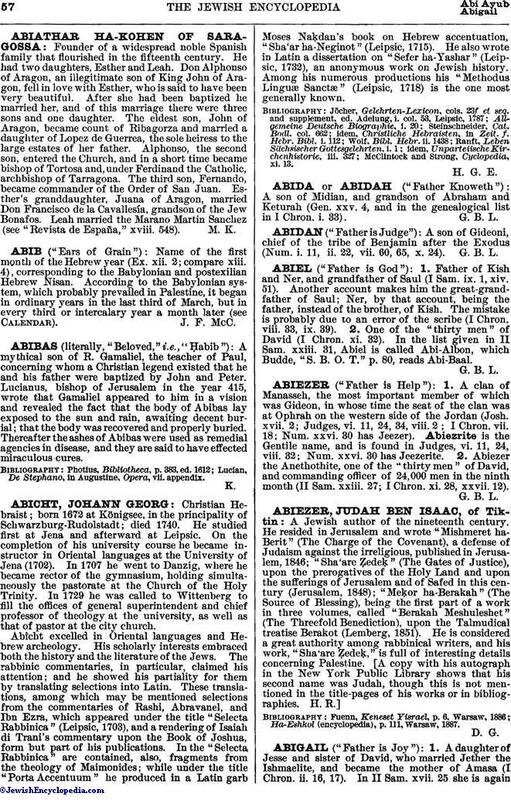 Name of the first month of the Hebrew year (Ex. xii. 2; compare xiii. 4), corresponding to the Babylonian and postexilian Hebrew Nisan. According to the Babylonian system, which probably prevailed in Palestine, it began in ordinary years in the last third of March, but in every third or intercalary year a month later (see Calendar).